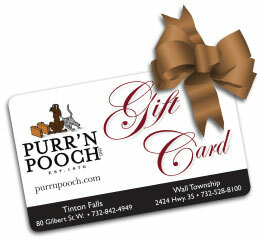 Purr’n Pooch boasts a newly renovated and stocked retail boutiques at our Tinton Falls and Wall locations. For the convenience of our clients, we offer daily customer service and shopping for on-the-go pet families. Our friends count on us to research the pet products we offer for the highest quality and health and safety standards available on today’s market. 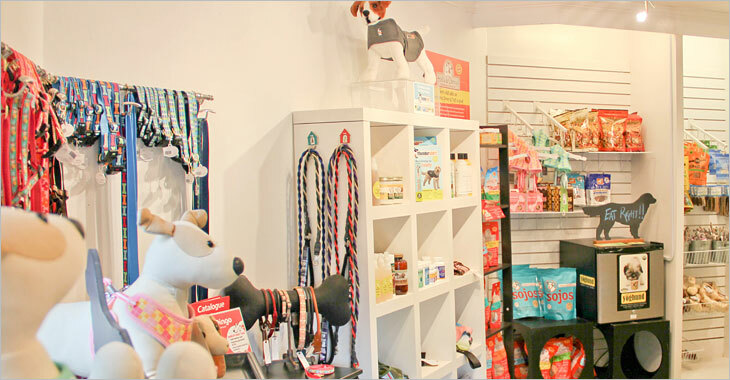 Your pet is our best friend, so please consider the Purr’n Pooch Boutique a dependable resource when purchasing food or accessories for your dog or cat. At Purr’n Pooch Pet Resorts we also believe that smart feeding choices are key to raising healthy and happy cats and pups. Poor quality and over processed foods can cause a host of issues for your pet, including skin allergies, digestive problems and chronic ear infections. We are pleased to announce that Purr’n Pooch now carries affordable quality food lines for your pet. We also welcome your special order requests. If you have any questions or would like to place a special order, contact retail@purrnpooch.com.